Officially called「大坂なおみ選手 日産ブランドアンバサダー就任記念モデル」"Naomi Osaka Player Nissan Brand Ambassador Inauguration Commemoration Model" (direct translation). This page will be updated with production information once this information becomes available. 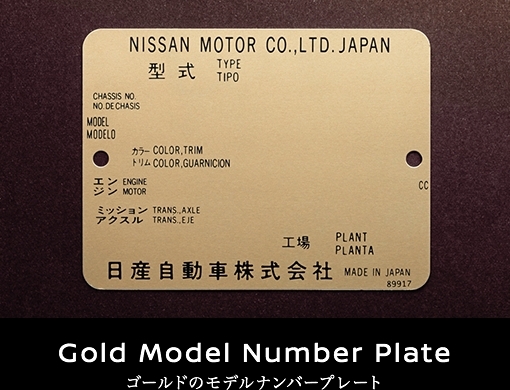 Limited to 50 vehicles (Japan only). Available in GAG (Meteor Flake Black Pearl), LAG (Midnight Opal) and QAB (Brilliant White Pearl). Interior is available as Ivory/Amber Red/Orange with Urban Black seats). The interior and exterior colours were picked by Naomi Osaka, brand ambassador for Nissan. YOKOHAMA, Japan – Nissan will start taking orders Dec. 20 for a special-edition Nissan GT-R launched to commemorate the company’s partnership with tennis Grand Slam champion Naomi Osaka. 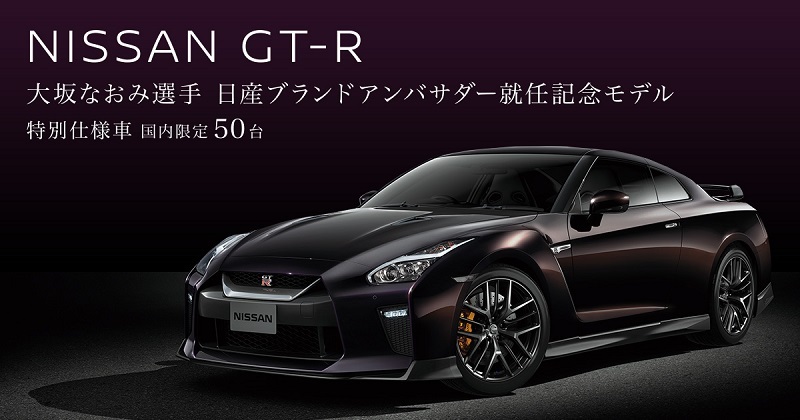 Nissan plans to build up to 50 of the cars, with tailored specifications based on the Nissan GT-R Premium edition grade. The model will come with three body color options including Midnight Opal, Brilliant White Pearl and Meteor Flake Black Pearl. Osaka, who joined Nissan as a brand ambassador shortly after becoming the first Japanese tennis player to win a women’s singles Grand Slam championship in September, helped match the color schemes for the special-edition GT-R. Three new color schemes have been developed for the commemorative model, and they can be combined with any of the body colors. 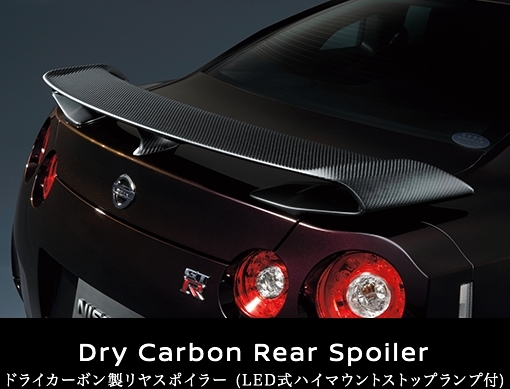 The car comes with LED high-mount stop lights on the dry carbon rear spoiler and a golden model-number plate in the engine room. Pricing for the car, to be sold in Japan only, will be announced next month. ★ Choice of Midnight Opal (2RP) <#LAG>, Meteor Flake Black Pearl (P) <#GAG>, Brilliant White Pearl (3P) <#QAB>. 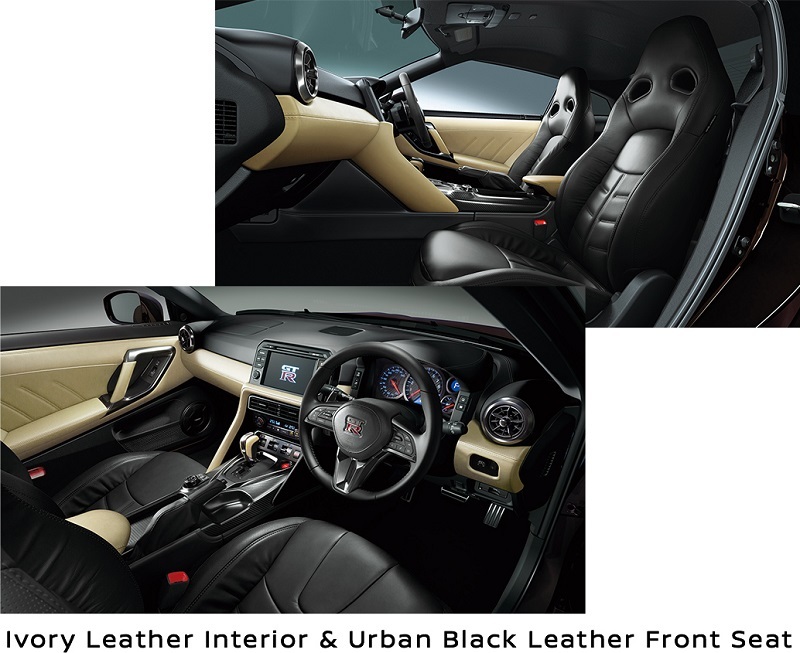 ★ Choice of Ivory, Amber Red or Tan interior with Urban Black seats.